There's more than one way to give back to Furman. From discussing job prospects to providing internship opportunities, you can support the next generation of Furman graduates by mentoring them. Offer career advice. Review their resumes. Or simply meet over coffee to share your career experience. No matter what you choose to do, your insight can prepare our graduates for their next stage in life. Find out how you can connect with Furman students. Connect with Career Services. Have an internship that you need to fill? 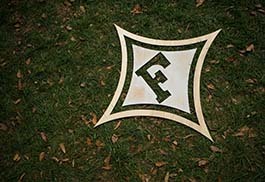 Hire a Furman student. Provide an internship experience. Want to get involved in additional ways? Contact Assistant Director of Alumni Programs, Sarrin Warfield '03.